For more details, contact Todd Newport at tnewport@cableone.net. Come to Arizona in 2003! The convention headquarters will be the Prescott Resort Conference Center and Casino. 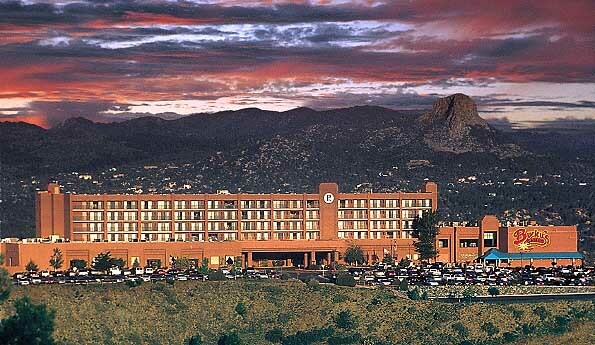 In 2003 the ZGWS will be holding their Annual Convention in Prescott Arizona at the Prescott Resort. The Resort sits at the top of a bluff overlooking the Historic Town of Prescott. This was the original capital of the Arizona Territory. The quaint downtown area has a small town feel that all will enjoy. The plans at this time are for an all day excursion to the Grand Canyon for lunch and to view one of the most fantastic natural wonders in the World. One that inspired Zane Grey early in his career. After the official convention a trip to Rainbow Bridge is being planned. This will be a boat trip from Page Arizona across Lake Powell to visit another Natural Wonder.